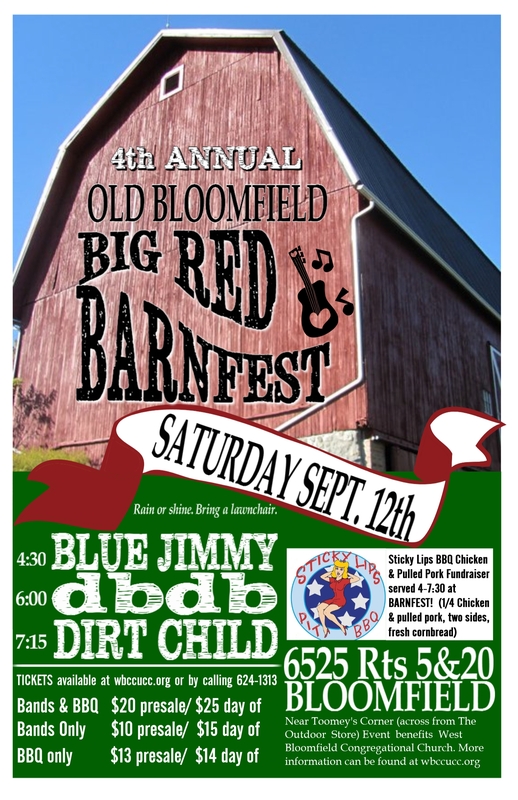 2nd Annual Old Bloomfield Big Red Barnfest! 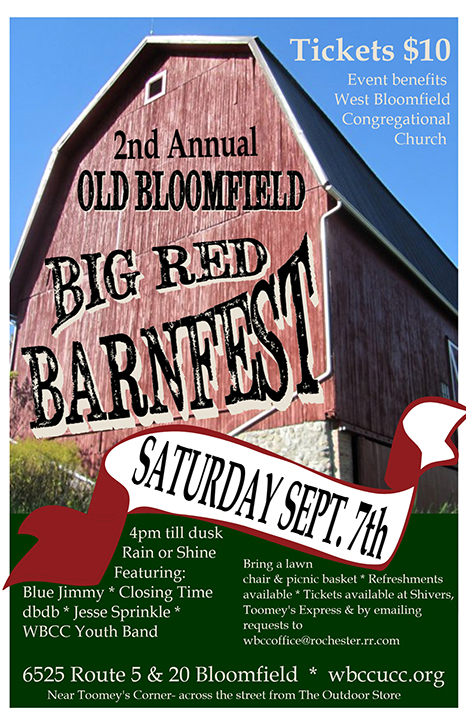 The 2nd Annual Old Bloomfield Big Red Barnfest is a day of music to benefit the West Bloomfield Congregational Church Programs. Bring your lawn chairs & picnic baskets, and refreshments will be available as well. On Facebook? You can get all the up-to-date details on our Facebook Event page.